First launched on 11th February 1928 and always costing just 2d - two old pence (click here for information about issues costing 4d!) 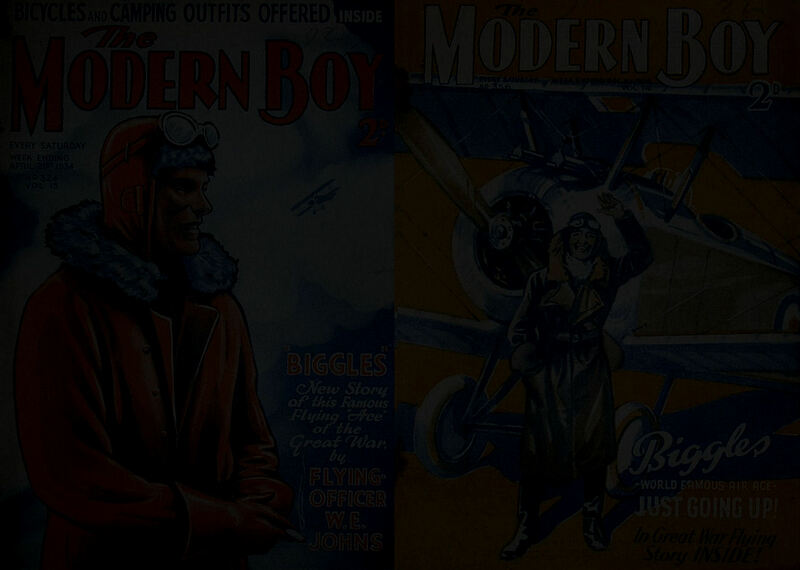 - the magazine ran initially for 523 weekly issues until 12th February 1938. 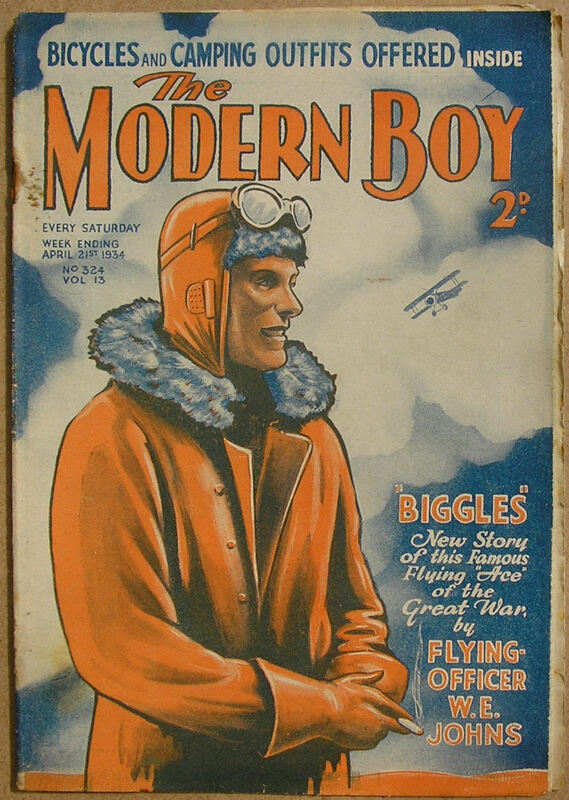 The following week, 19th February 1938 it was re-launched in a new size and this new “Modern Boy” was re-numbered from issue one again. It ran until issue 87 was published on 14th October 1939. Production then ceased due to wartime paper shortages. The beauty of “The Modern Boy” to W. E. Johns fans is the amount of work he did for it. 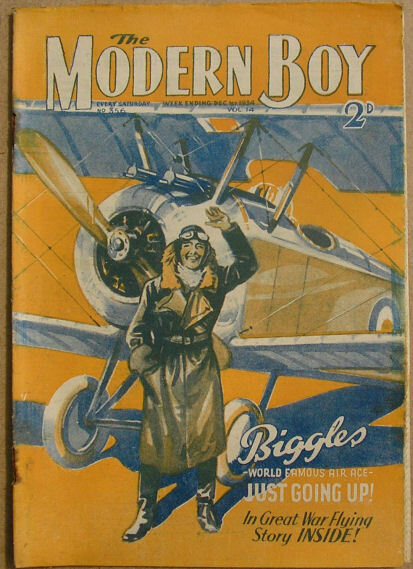 Initially submitting artwork – Johns first painted the cover for the 21st December 1929 issue – issue 98. - but it is believed that he wrote articles prior to that as “Our Air Expert”. He then contributed various articles until issue 257 when his “Biggles” stories commenced publication in serialised form. 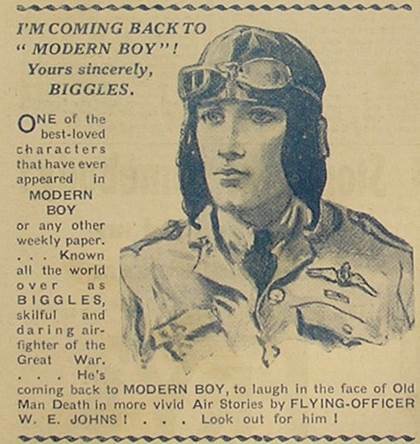 Firstly, all the individual stories from ‘The Camels are Coming’ until eventually his new books were first published in “The Modern Boy” in episodic format. The true first editions! It is very interesting to note the changes in the text on publication in book form. 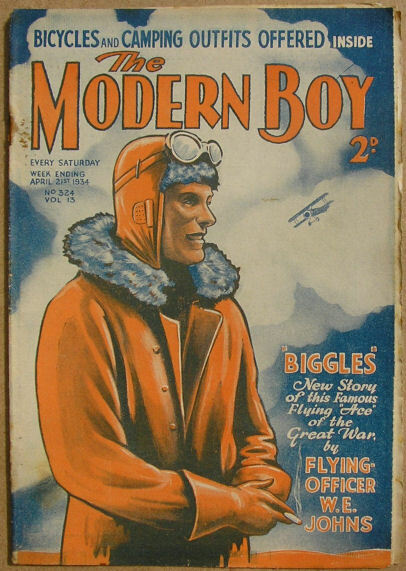 (which was published in ‘The Modern Boy’ as “Castle Sinister” – as a number of the story titles were changed when they were published as books).